So Convergence has started and we're going to see a bunch of alternate Aquamen. I'm particularly interested in the more extreme versions, and I'd love to hear if you happen to spot one in one of the Convergence titles. So far the biggest Aquaman appearance is in Convergence: Justice League, which is basically about the Flashpoint Aquaman. 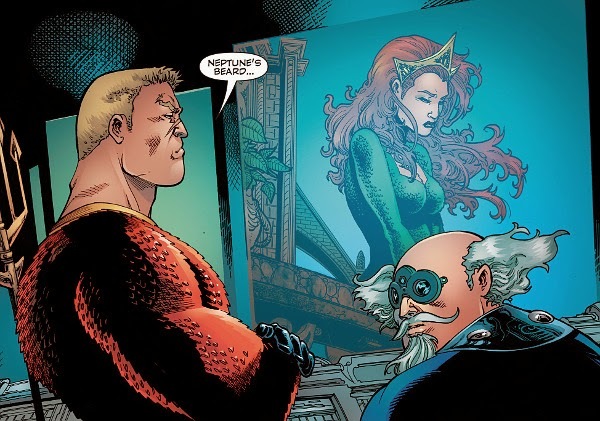 I think Mera in that issue is from the pre-52 universe, post-Brightest Day. Have I mentioned that I really like the Flashpoint Vulko?